You can’t mention conference without referencing the exhibitors. 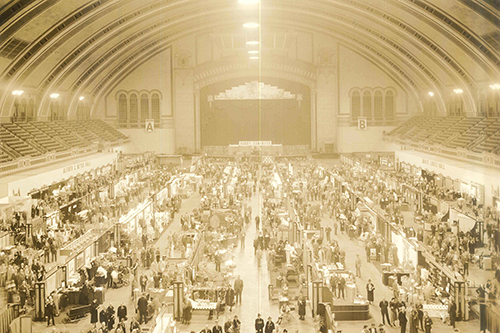 In the conference guides, 1938 was one of the first mentions of technical exhibits. 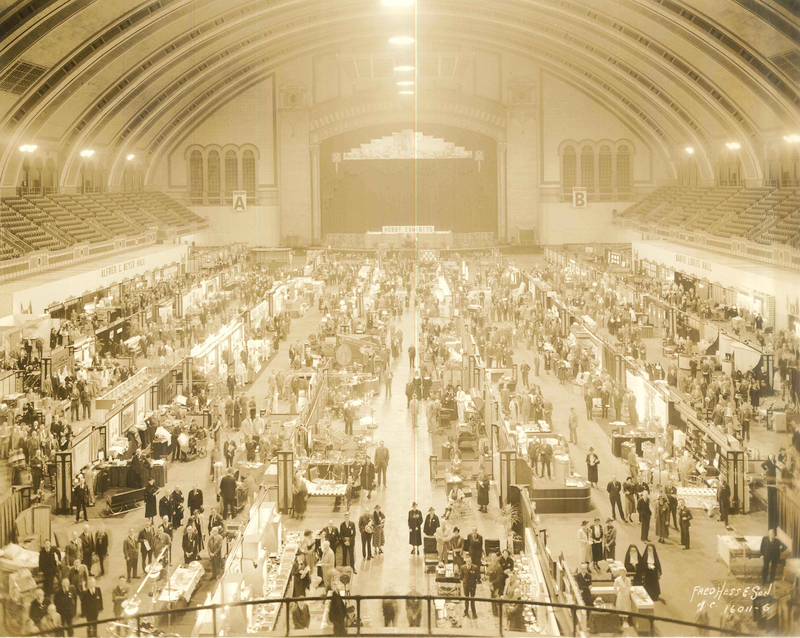 The exhibit hall in Atlantic City in the 1930s. Most of the earlier ads were just a text description of the advertiser and the product. Ads with graphics started showing up in the mid-40s. Throughout the various conference guides, there was mention of “The SHIP,” which was in reference to the commercial exhibitors. According to the 1963 conference guide: “For forty years The SHIP has served as an organization of representatives of reliable business firms whose purpose and desire is the supply educational, therapeutic, recreational, and professional materials and equipment for use in the fields of Occupational Therapy, Art Education, and Industrial Arts.” Those attending conference would receive a card that was punched by each member of the “ship’s crew” and would deposit that card in a “treasure chest” for a chance to win prizes. 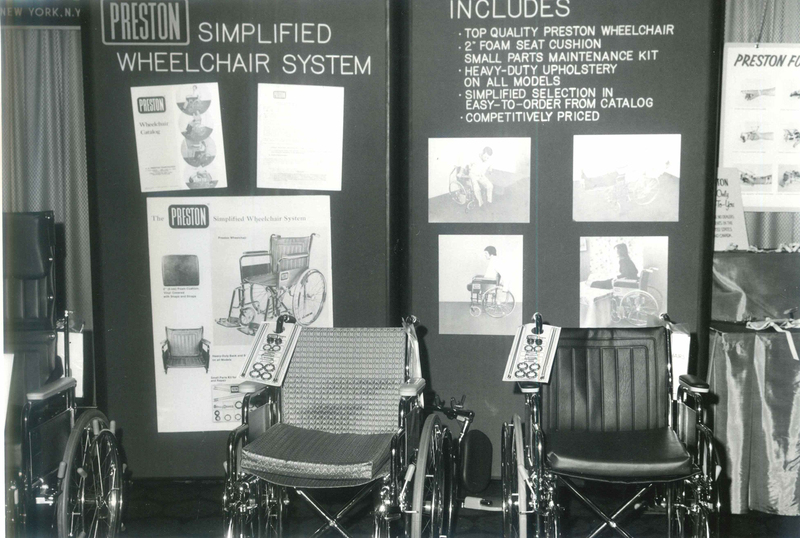 The AOTA Publications Mart debuted in 1977, and in 2010, the AOTA Marketplace and Member Center were side by side as one central hub. Starting in the early 80s, cassettes of the various sessions at conference were available for purchase. 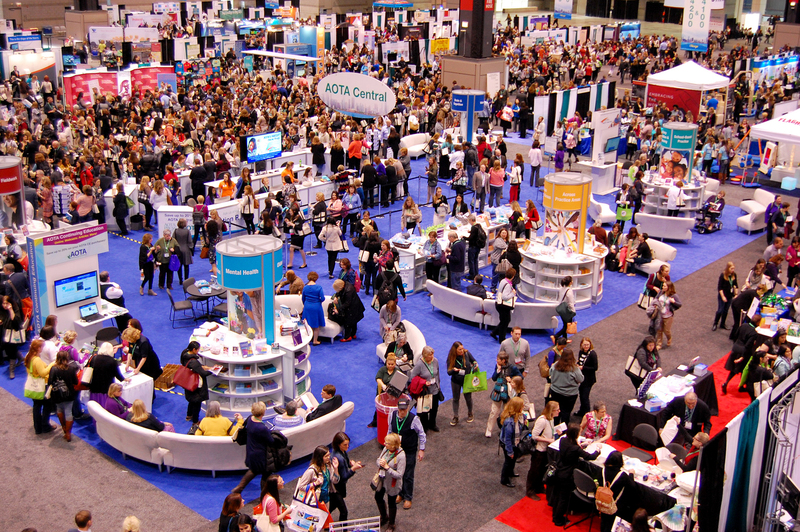 Today, AOTA Central is the spot for conference attendees to buy books, CE, pick up ribbons, learn about AOTA programs , and there are even couches to sit back and network with peers.  In 2016, AOTA changed the name to "AOTA Central"